This is the lead form override for "7424 Natalie". Move in ready 3 bed, 3 bath ranch home located in desirable Creekside Village South Subdivision. Kitchen boasts hardwood floors, granite countertops, black appliance package, pantry and breakfast bar. Breakfast nook offers doorwall leading to low-maintenance Trex composite decking with a retractable awning for shade on those sunny summer days! Master suite includes oversized walk-in closet and bath with his and hers sinks and step in shower. Bedroom on main floor could double for a perfect office off foyer! 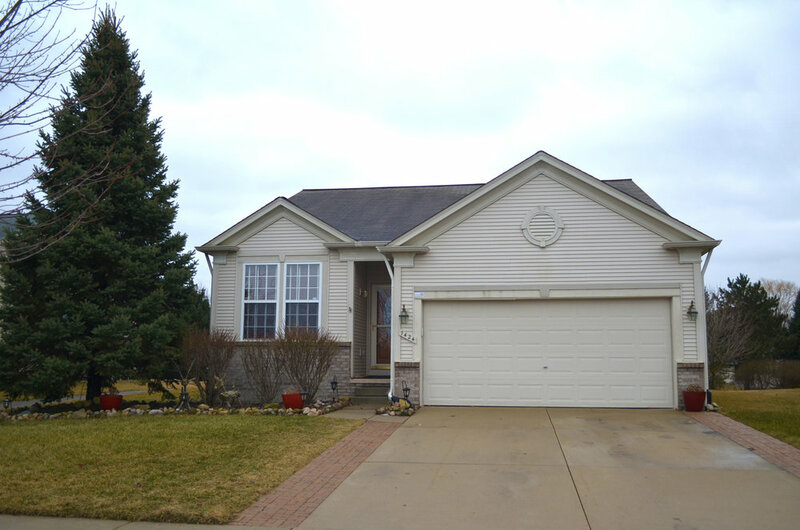 Finished basement offers additional bedroom with egress window, large closet and full bath. Plenty of "behind the door" storage for seasonal items and utilities. Main floor laundry off 2 car attached garage and private backyard secluded by mature Blue Spruces finish off this exceptional home!